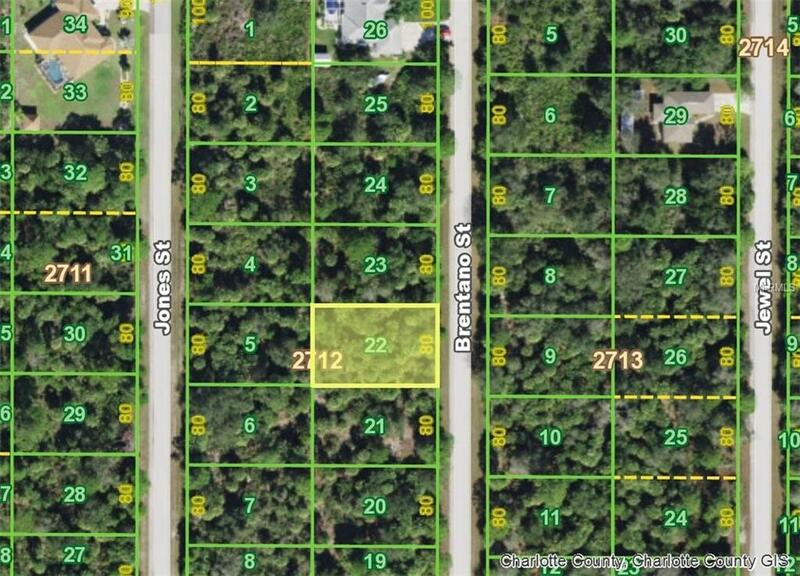 PORT CHARLOTTE LOT PLUS THERE ARE ALSO LOT 23 MLS #C7407200 ALSO FOR SALE AT SAME PRICE. THIS WILL GIVE YOU 2 PRIVATE LOTS TO BUILD YOUR DREAM HOME ON. JUST MINUTES TO OUR TOWN CENTER MALL AND OTHER SHOPPING AND RESTAURANTS. JUST A SHORT DRIVE TO OUR BEAUTIFUL GULF BEACHES FOR A DAY OF FUN AND FISHING IS GREAT. IT CAN'T GET ANY BETTER THAN THIS!